Capt. 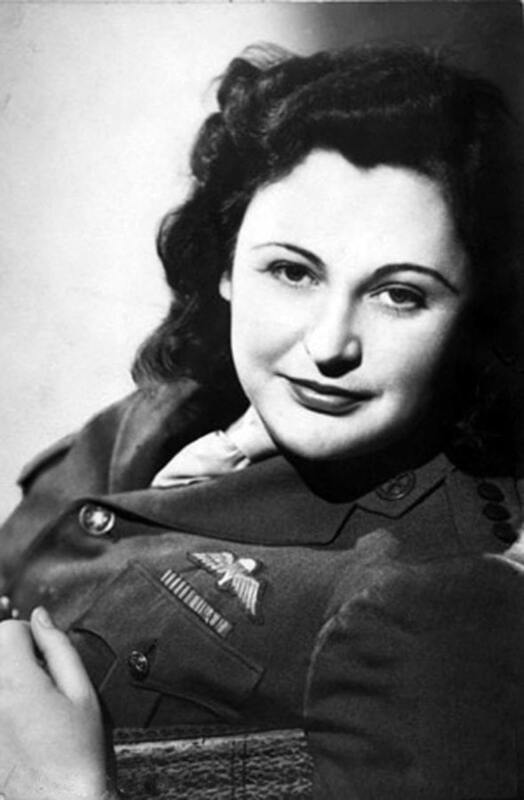 Nancy Wake of Britain’s Special Operations Executive was a remarkable woman. The wife of a wealthy French industrialist, she worked for the French Resistance, helping more than six hundred British troops and airmen escape to Spain. She became No. 1 on the Gestapo’s Most Wanted List, with a five million franc price on her head, before leaving France for England and the SOE in 1943. She returned to France in 1944 and organized Resistance fighters in the Auvergne so well that they were able to fight three times their numbers in SS troops. She became the most decorated servicewoman of World War II, receiving the George Medal, three French Croix de Guerre, the Légion d’Honneur, the French Resistance Medal, the Companion of the Order of Australia, and the United States’ Medal of Freedom, among other decorations. Born in New Zealand in 1912, the youngest of six children, at age two her family moved to Australia, where her father abandoned them. Goaded by an unhappy childhood and a £200 inheritance from an aunt, the strong-willed, independent, and beautiful young woman left for a new life, with stops in America, London, and Paris. She became a journalist, working for the Hearst newspaper syndicate in the 1930s as a European correspondent, where she developed her hatred of Nazis. In 1939 she married French industrialist Henri Fiocca and moved to Marseille. Her life as a socialite changed when Germany invaded France in 1940. With an ambulance purchased by her husband, she became a driver in a volunteer ambulance unit. Upon France’s defeat, she joined the nascent French Resistance movement. This led her and her husband to join an escape network for British officers and airmen in unoccupied Vichy France run by Capt. Ian Garrow and later by Patrick O’Leary (the Belgian Resistance fighter Albert Guerisse). Once the dreaded pro-Nazi Milice (Vichy police force) arrested her. Despite four days of torture, she didn’t break. O’Leary entered the police commissioner’s office, presented false papers that showed he, also, was a member of the Milice, and claimed that Mme. Fiocca was his mistress. O’Leary told the police commissioner that her refusal to disclose any information under interrogation was to protect him. He also said that, because he was a personal friend of Vichy premier Pierre Laval, (a lie), Laval would be enraged if Fiocca wasn’t released immediately. Incredibly, the ruse worked and she was released. The danger in her already dangerous double-life dramatically increased following the German occupation of Vichy France in November 1942 in response to the Allied amphibious landings in French North Africa. Despite a five million franc price on her head, the “White Mouse” as the Gestapo called her, continually eluded capture. Finally, in early 1943, thanks to a traitor in the escape network, the Gestapo dragnet was getting close. It took Wake six tries before she managed to escape to Spain, with the last attempt being a leap out of a moving train, dodging gunfire. Upon the liberation of France, she learned that her husband had been arrested, tortured, and killed. She was heartbroken. Wake served in the SOE until 1960. Her life was later recounted in articles, books, and documentaries. Her adventures were the inspiration for Sebastian Faulks’ novel Charlotte Gray, the film version of which starred Cate Blanchett. Nancy Wake died in London in August 2011 at age 98. An interview of Nancy Wake, taken shortly before her death can be heard at: http://www.rte.ie/radio1/doconone/curious-ear-doconone-nancy-wake.html.